Do You Use Reusable Shopping Bags? Do you want to know one of the easiest ways you can help save the planet? Use a reusable shopping bag! Plastic shopping bags are one of the biggest sources of ocean litter on the planet, and they kill thousands of sea creatures every year. Why not help save them by using a reusable shopping bag? I like bringing my own reusable shopping bags out shopping, but they are also multifunctional, perfect for everyday life. 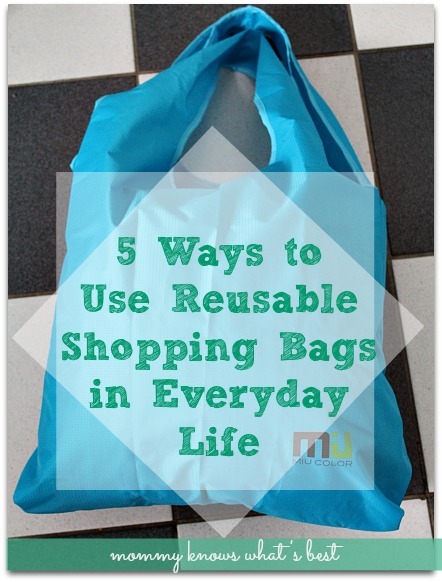 Here are 5 ways you can use reusable shopping bags in everyday life, other than for shopping. 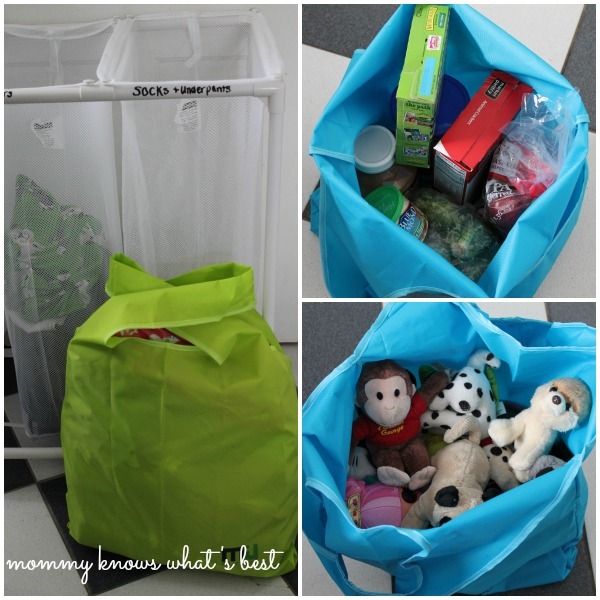 Use reusable shopping bags for laundry. A good, sturdy reusable shopping bag is perfect for carrying small loads of laundry, or laundry detergent (think: college students). Even better, they’re perfect for little kids who bring their own laundry to the laundry room and would otherwise be unable to handle a bulky laundry basket! Use reusable shopping bags for packing picnics. Reusable shopping bags are great for carrying your picnic blanket, utensils, and more. Use reusable shopping bags for a trip to the beach or to the pool. If the bag is water resistant and easy to clean, it would be a great bag to haul beach gear, like towels, sunscreen, hats, sunglasses, goggles, and more! Use reusable shopping bags for carrying books or toys. Going to the library? Bring a reusable shopping bag. Bringing some toys to a park? Use a reusable shopping bag! Use reusable shopping bags for cleaning up clutter in your car or around your home. Keep a reusable shopping bag in your car for cleaning up any clutter the kids leave behind, like shoes, papers from school, toys, etc. 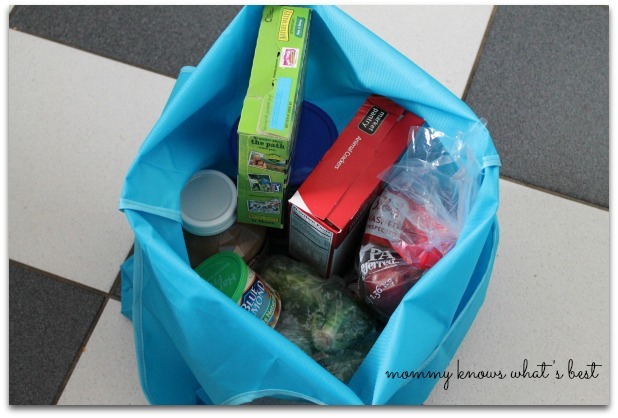 Use a reusable shopping bag to pick up items downstairs that belong upstairs, or vice versa. They are big. These are not your standard reusable shopping bags. These bags measure 31 inches long and 18 inches wide and can carry about 20 lbs. I can easily fit 20 lbs of groceries in one bag and not have to carry several bags at once! They are sturdy. I love how these bags have wide straps. I also like that the material is very sturdy, and the seams have binding with double stitching. I don’t feel like the bag is going to break as I’m carrying it around. They are made with water-resistant fabric. While not waterproof, these bags are water resistant, so if something spills in or on them, they are easy to clean. They fold up easily. These bags can be folded up and placed in a purse, diaper bag, glove compartment, etc. They come in the prettiest colors. Yeah, I know it’s not a necessity to have pretty reusable shopping bags, but why not? These Miu Color shopping bags come in light blue, dark blue, and green. You know, blues and green for helping to save Earth. For my family of five, I buy a lot of groceries. It was great to have these bags with me, reducing my need for plastic bags! These bags are pretty deep, so it’s a good idea to keep produce and breads separate. 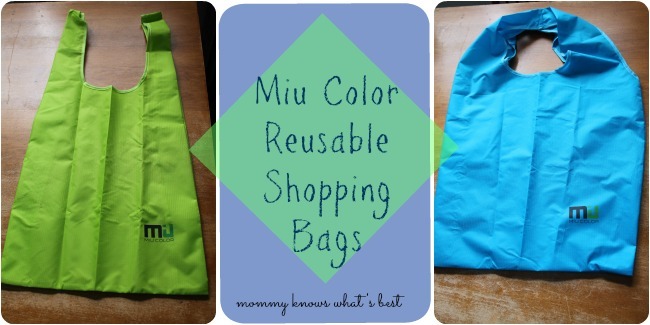 The Miu Color Reusable Shopping Bags are great to have for shopping and all of the other uses listed above. I highly recommend them if you are looking to update (or even start) your reusable bag collection! 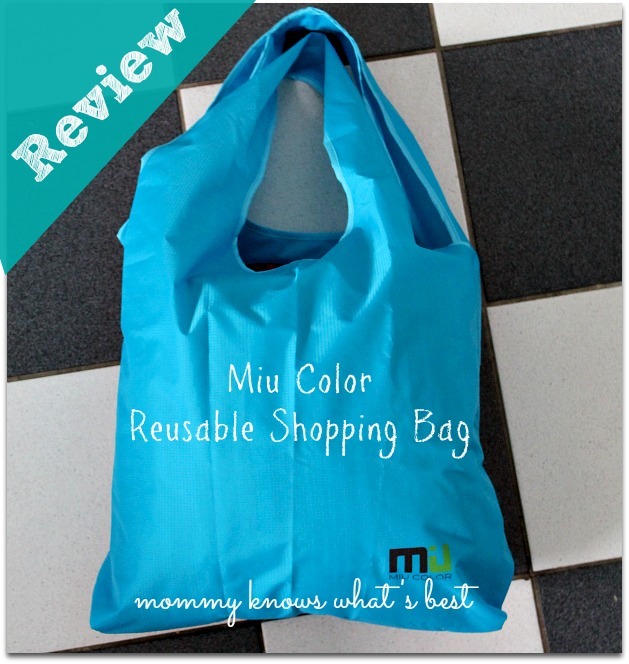 Find Miu Color Reusable Bags on Amazon (affiliate link) for just $8.99! You can also find them here on MiuColor.com. MIU COLOR pursues a life that is pure, simple, comfortable, and environmentally friendly. We provide a large range of products, from home, to travel, and clothing. Visit us at MiuColor.com to see what we have in stock. 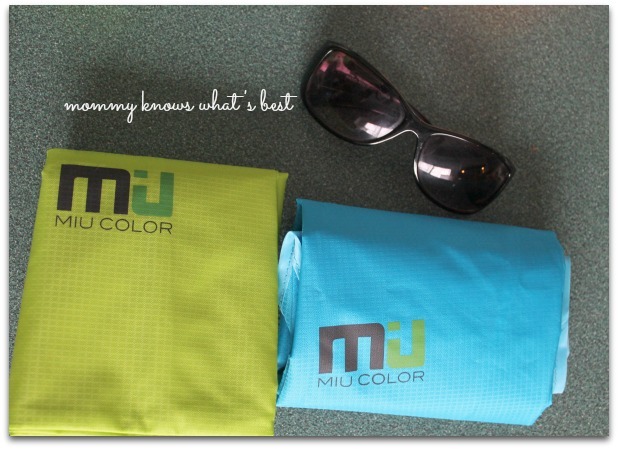 Thanks to Miu Color for providing me with these two bags for review! 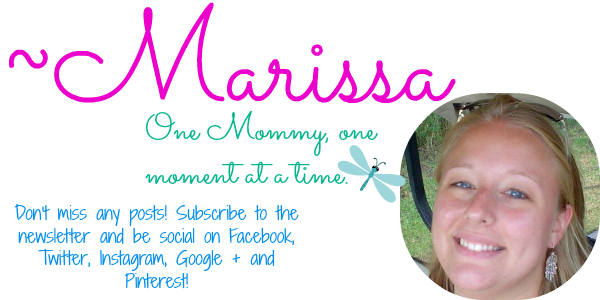 Please visit them at MiuColor.com, on Facebook, and on Twitter to stay up to date on their products! Actually I never thought of using reusable shopping bags for anything other then groceries. But, you had some good ideas, I will rethink my use of reusable shopping bags. I use reuseable shopping bags for everything, we have so many. Thank you for the information. I do reuse mine in the bathroom for my trash liner. I try to always use reusable bags for grocery shopping, but sometimes I forget and leave them in the car. I do use reusable bAgs in the supermarket, but did not think about using them in other ways. Now I shall consider it. I have a bunch of reusable bags but I am so bad at using them! Love these ideas! I also use mine when going on a picnic or library trips for books! I have so many reusable bags all over the place, in my car, my laundry room, my kitchen, and in the garage. I use them for a number of things, mostly groceries, laundry, toys, and hauling stuff around the yard. They come in handy a lot. I like these colorful Miu resusable bags, and use these type of bags all the time. I use reusable bags for taking my library books and DVD back. I also use them to take to the beach and bring a long all my stuff. But what I really like about reusable bags is how they help keep my clothes sorted for wash day! I use reuseable bags for EVERYTHING lol!! 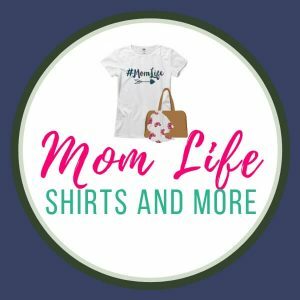 My son uses them to play and I use them to carry random items when we travel and pretty much any carrying task in between!! Love them and so much better looking than a trashy plastic bag! The re-usable bags are great & I use them for a lot of things. Shopping, of course, but I use them for when I go to the library. It makes carrying the books a lot easier. We use them for transporting foods & picnic supplies when we go on an outing also. I use the reusable shopping bags for everything! They are so versatile! I like to reuse bags and all things as much as possible. I appreciate the nice pointers and tips on how to do it right.